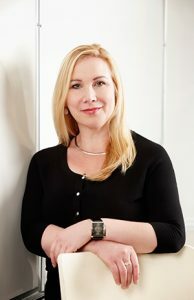 Dr. Wendy Cukier recently completed a term as the Vice President of Research and Innovation during which she increased research funding by 60 percent and helped build the innovation ecosystem. Previously, she was the Associate Dean of the Ted Rogers School of Management, Canada’s largest business school. A leading researcher in her own right, much of her work has focused on disruptive technologies, entrepreneurship, innovation, and the skills gap. She’s coauthor of the bestseller “Innovation Nation: Canadian Leadership from Java to Jurassic Park” and has written more than 200 papers and presented around the world on emerging technologies, their adoption, and technological change. The founder of Ryerson’s Diversity Institute, Dr. Cukier has also done pioneering work on diversity and inclusion focusing on developing “the business case” and applying innovation models to driving change beyond human resources across value chains. She created the Advanced Digital and Professional Training (ADaPT) program to bridge the skills gap and level the playing field for women and under-represented groups in the ICT sector. Dr. Cukier serves on the boards of the Refined Manufacturing Acceleration Process (ReMAP) Network and NPower, and chairs both the Information and Communications Technology Council’s Diversity Committee and Women’s College Hospital Board in Toronto. She helped create and grow several successful start-ups and social ventures including Flybits, Think2Thing, the Madeleine Collective, and Growing North. Recently she was appointed to the Vaughan Smart City Advisory Council. She has received many awards for her leadership including a YWCA Woman of Distinction, Top 25 Women of Influence, 100 Alumni who shaped the Century (at the University of Toronto) the Black Business Professional Association’s Harry Jerome Award for Diversity, and the Governor General’s Meritorious Cross, one of Canada’s highest civilian honours. She holds a PhD, an MBA, an MA, and honorary doctorates from Laval and Concordia.